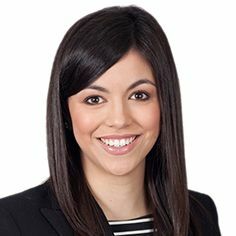 Bianca Jennings is a Partner in Piper Alderman’s Corporate team, with a particular interest in the food, beverages and agribusiness industries. Bianca has positioned herself as a trusted advisor to a large variety of Australian and international clients including SMEs, not for profits and large corporate enterprises. Bianca’s practice includes mergers and acquisitions, inbound investment and foreign investment approvals, business structuring and restructuring, private fundraising, corporate governance and compliance, privacy, personal property securities and general corporate and commercial advice. She has a wealth of transactional experience, often negotiating and facilitating a large variety of corporate and business deals. In addition to her legal expertise, Bianca draws upon her accounting, corporate governance, risk management and other practical commercial skills to add real value to her clients and their businesses. Bianca is Deputy Chair of Adelaide Showground Farmers’ Market Inc and a board member of Potatoes South Australia Inc.